So if you didn’t know, this blog is powered by blogging software called WordPress. And on top of WordPress are a few plugins. One of these plugins, Akismet, is designed to help prevent spam from cluttering up the comments section of the blog. I had to install the Akismet plugin a while back when my friend, Ian, suggested that I enable comments. Enabling Akismet requires obtaining an API key (which can only be done from the wordpress.com website). So while listening to one of my favorite podcasts the other day, CNET’s Buzz Out Loud, Molly Wood was frustrated about the API key situation. Here is the segment from the April 25th show. Yours truly decided it was worth commenting (since I had experience in this area already). Here is my response which was played during the April 26th show. So you might think the conversation was over. But on April 28h, Molly was joined by WordPress creator, Matt Mullenweg, for a more lengthy discussion of Akismet. Check out the interview with Matt. So let this be a lesson to you. Your feedback and suggestions about software can lead to improvements. If this makes using Akismet with WordPress easier for anyone else – than it was worth it. 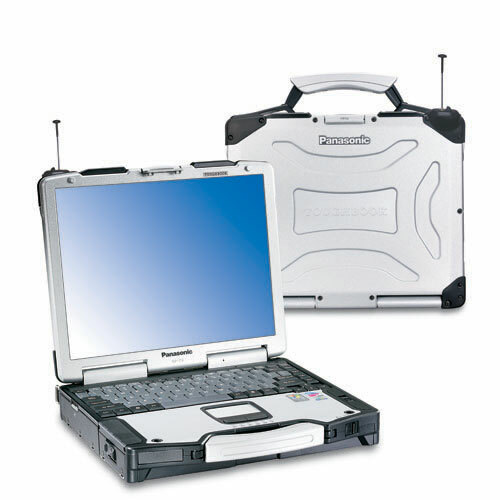 Pictured below is the Panasonic Toughbook 29. I got to put my hands on one of these earlier this week while attending a Verizon open house event. This is one mean and rugged system. The price tag is upwards of $3500. Consider this officially on my wish list (although I doubt anyone I know would consider gifting me something quite so expensive). A boy can dream, can’t he? So after writing about the general disappearance of rolled LifeSavers candy, I must now report that I found some. I was at my local CVS pharmacy (checking out) and there they were – right at the checkout stand. And yes … I bought two rolls. Record Heat Prompts Rolling Brownouts? DEFENITION: Rolling Brownout – A condition where power utilities purposely impose brownouts over a portion of their service area to free up capacity so that the remaining service area can continue to be served. After a time, another portion of the service area has a brownout imposed on it, so that power can be restored in the original area. During spring, a lot of generating equipment Is down for maintenance. An ERCOT spokeswoman explained that electrical demand in April rarely exceeds 40,000 megawatts. On Monday, the demand reached more than 50,000 megawatts. So how much power is the grid actually using right now? See for yourself … CLICK HERE. The Texas Electric Regulatory Board has ordered electric utility providers across the state to reduce their loads, prompting rolling brownouts across the area. NBC 5 reported that power is out in North Dallas and traffic lights are out across the city, causing traffic backups. Several NBC 5 viewers have reported that they are without power. Back in March, my mother and I were discussing LifeSavers candy. When was the last time you saw them for sale in a store? Think about it. They have almost vanished. To clarify, I’m talking about the traditional five flavor rolls. You can still find them in bags, in gummy variety, etc. I decided to investigate. 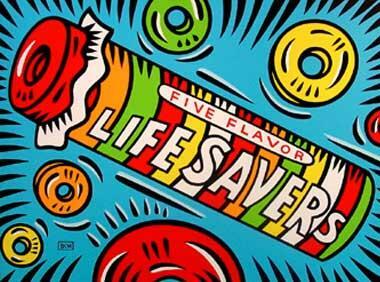 In May of 2002, LifeSavers, a division of Kraft Foods, announced they were closing their factory in Holland, Michigan. Kraft cited the high cost of sugar in the United States as the primary factor for its decision to relocate to Canada. Over 600 U.S. jobs were lost. On August 15, 2003, LifeSavers announced a new flavor lineup. Raspberry, watermelon, and blackberry would replace orange, lemon, and lime. Only the original pineapple and cherry would remain. The new flavors were selected by consumers in early 2003. This marked the first flavor change since LifeSavers “rolled” out in 1935. 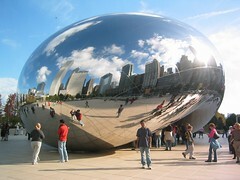 In November of 2004, Chicago-based Wm. Wrigley Jr. Company announced an agreement to buy LifeSavers (and Altoids) from Kraft Foods. The transaction is worth $1.48 billion. Wrigley outbid Hershey, Mars, Nestle, and Cadbury Schweppes. Factoid: The shelf life for a roll of LifeSavers is 12 months. So if you were going to use only five words to describe your restaurant chain, would you say, “Italian dinners and sanitary bathrooms” ??? Try a search on yahoo and see what you find. The Cubs sure gave it to the Cards in their “Pujols” – taking the home opener by a score of 5 to 1 and ultimately sweeping the series. It was by far the coldest home opener I have attended. 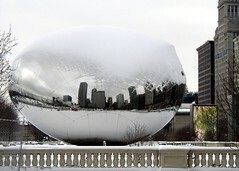 Cloudy skies, the occasional flake of snow, but mainly it was the wind – blowing in and cutting right through you. Our saving grace that day came in the form of coffee (with Whiskey of course). It certainly made the second half more tolerable. This year marks the 91st season the Cubs have played at Wrigley Field, and this is the 9th consecutive home opener I have attended. It just keeps getting better each year. While the primary focus is the game, there are plenty of friends to see and places to go. We attended our annual postgame party and did our best to work through a keg of beer (we never finish it). After many enjoyable hours of socializing, it was off to meet up with an old high school friend in Lincoln Park (and yes – more drinking). Every new software launch these days has a little magic word attached. You can almost anticipate its arrival … wait … wait for it … yep … here it comes …. BETA. Beta has turned into the software disclaimer of 2006. By attaching the name to any piece of software, companies and developers hope to waive any liability for functionality or availability. I suggest they try some new phrases like “It’s not my fault” or “I didn’t do it” or “Don’t blame me”. And why not after all – a general lack of accountability is pervasive in our society. Why my rant? Why today? Because our good friends at Apple Computer decided to launch a product today named “Boot Camp … Beta.” And the purpose? So your Intel Mac can run Microsoft Windows. Huh? Confused? Well, you are not alone. Why would I want this? A few weeks back when the independent challenge to see who could get XP to run on a Mac was solved – now that was interesting. It was interesting because it inspired people to rise to a challenge. No mega company sponsorship – just people doing something to see if they can. That’s fun. But XP on a Mac? Why would you want to pay for overpriced hardware and two operating system licenses? I’m not knocking either OS. They are both fine products. But just because you can do something doesn’t mean you should. Let’s hope common sense prevails. One final technology story of note from yesterday (and perhaps a sign of the end of the world as we know it). Microsoft is now giving away its Virtual Server 2005 R2 software … for FREE!! In a blatant move to compete with the folks at VMWare, Microsoft is doing something that must go against every fiber of their corporate being. Giving away software – FOR FREE. You can almost feel the cold shudder run down Bill’s spine. And yes – MS is supporting Linux as a guest operating system.